According to Parkinson’s Canada, more than 25 people are diagnosed with Parkinson’s Disease every day. Between 2011 and 2031, the number of Canadians diagnosed is expected to double to more than 163,700. Commonly known for its movement or motor-related symptoms, people with Parkinson’s disease are often more impacted by non-motor symptoms like apathy, depression, sleep behavior disorders, loss of sense of smell and cognitive impairment. To coincide with World Parkinson’s Day, Parkinson’s Awareness Month is a global initiative recognized in Canada each year in April. For health care professionals and particularly those affected by the disease, raising public awareness about Parkinson’s disease, a neurodegenerative condition, is essential. 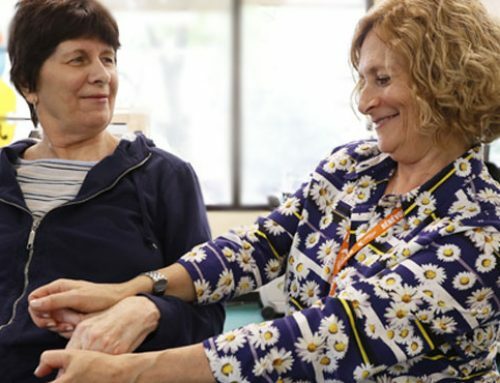 At the Cummings Centre, a range of programs is offered to individuals affected by Parkinson’s disease. Known for the various ways its symptoms affect each individual, participants benefit from the many classes offered. The programs target symptoms of the disease, whether they are co-ordination, balance or voice modulation. At the same time, the Centre offers a variety of support groups. 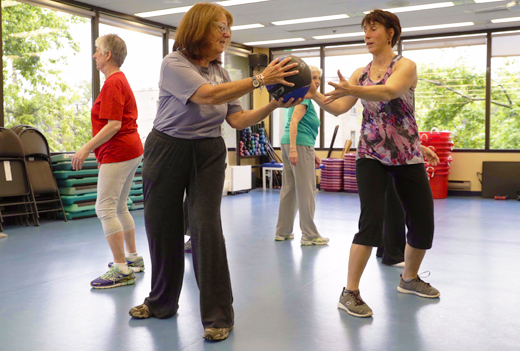 Diagnosed with Parkinson’s disease, Cummings member Barbara Harbert has been an active participant in the Centre’s adapted programs for some five years. Her ongoing participation is a testament, she says, to the positive impact the program has made in her daily life. 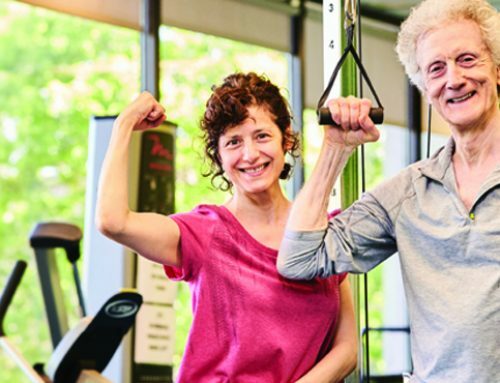 “I feel that the exercise has helped me in slowing down the progress of Parkinson’s,” she said, also acknowledging that she exercises most days of the week. 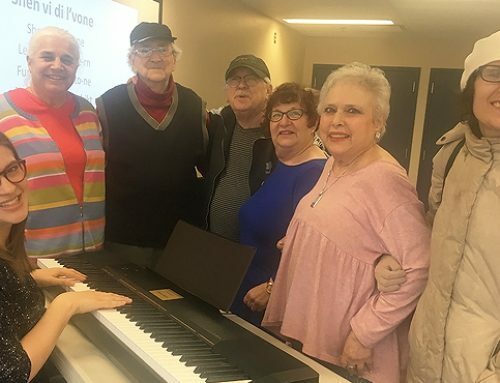 On a recent afternoon at the Cummings Centre, a Parkinson’s disease exercise class was about to conclude and the camaraderie of participants was evident. A concluding song is chanted by participants to cap an hour-long exercise class that is complete with energy and enthusiasm. 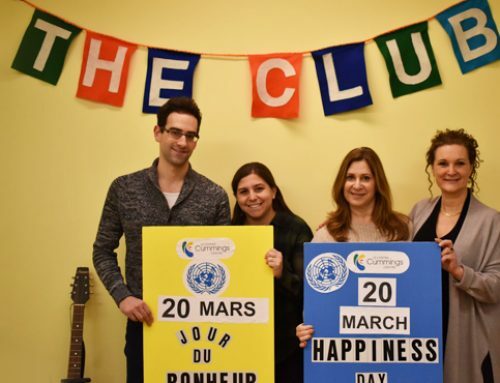 “The community setting is an added value at the Cummings Centre,” said Harbart, who admits to also having developed friendships with the participants as she heads off to join the rest of the class at their regular gathering in the Centre’s cafeteria. Coinciding with Parkinson’s Awareness Month the Cummings Centre, in partnership with Parkinson Canada (Quebec) and Partenaire Santé (Quebec), is organizing a conference on Parkinson’s and Cannabis: What We Know and What We Don’t. A panel of experts will share their knowledge on medical cannabis use in Parkinson’s care and research. Panelists includes Dr. Susan Fox, Associate Director, Movement Disorders Clinic, University Health Network, Toronto, Dr. Michael Dworkind, Medical Director Santé Cannabis and Lynda Balneaves, PhD, RN, Canadian Consortium for the Investigation of Cannabinoids. The conference takes place 10 am to 3 pm Wednesday, May 1 at the Gelber Conference Centre (5700 Westbury Ave.). 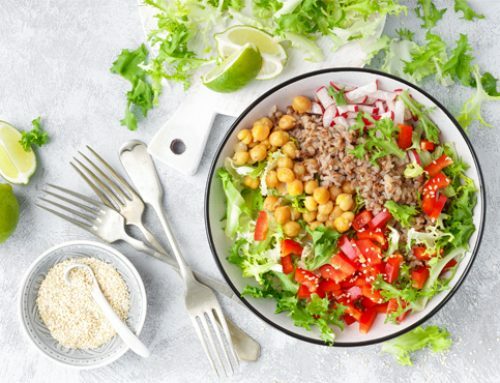 Cost is $40 and includes lunch. For more information call Stefani Novick 514.734.1819 or visit www.parkinson.ca/qcmay1.